I still remember the moment we decided to start our new adventure, to leave the routine in Barcelona, to quit my job and to begin a new life as digital nomad. Didn’t we have a good life in Barcelona? Why would anyone give up a nice and stable job? Did we have some kind of wake-up call that pushed us into this trip? Let us take you back to where it all started for us! 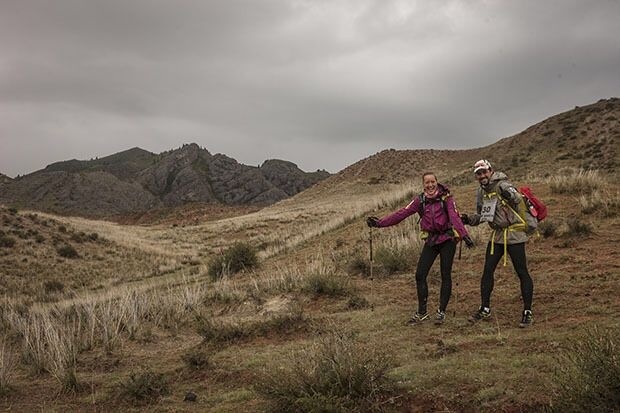 In 2014 my husband Fran proposed to me after completing the Gobi March, a hell of a race in the Gobi desert in China. A once-in-a-lifetime experience that took us on a roller coaster of emotions. Our wedding one year later was the icing on the cake. Finally, we could let go the adrenaline during a wonderful honeymoon in Africa. When we got back home we started realizing it was all over. We had been walking on air for the past two years and felt strange to limit our young and free spirit to a sedentary life and job. Fran already enjoyed a flexible work/lifestyle in his remote-friendly job and that was the one thing I was missing. We always had to find a way to please our families and friends with short visits and still save some holidays (and money) for a vacation with just the two of us. I like to plan things in advance – my friends and family will read this as an understatement – so I realized that I needed a more flexible job to match our future plans with our current situation. It was a long process but with a clear outcome: I had to become location-independent to achieve a better work-life balance. Decision made. However, that wasn’t the only obstacle to overcome. Fran is a dreamer and I like challenges. We believe that getting out of your routine is what makes you move as a couple. When he first came up with the idea of traveling around the world, I laughed it away. I loved traveling, it had always been my passion (that’s why I love my job) but traveling around the world for one year was a big step! However, it became a recurrent topic and we motivated each other. Challenge accepted. 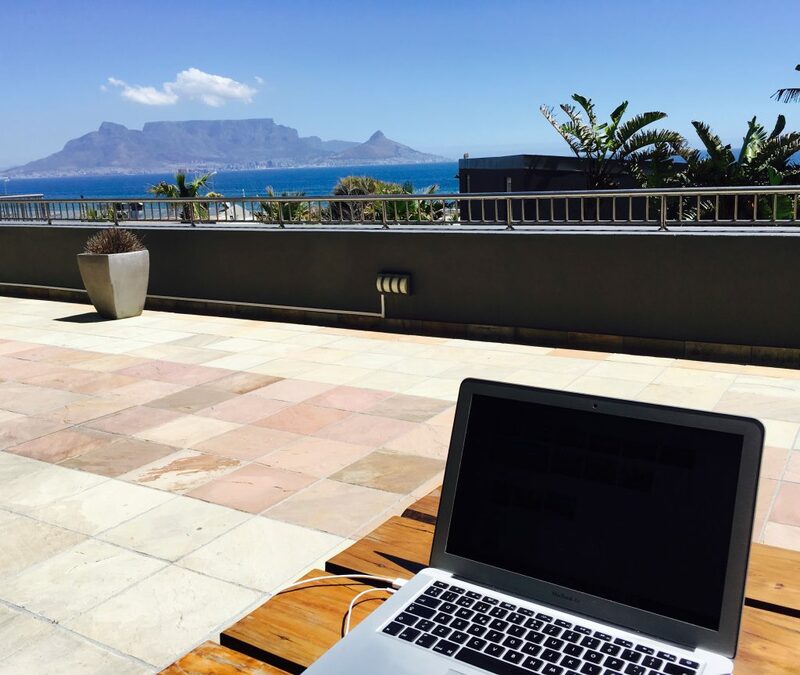 Fourteen months later, I’m writing this article from my office-with-a-view in Cape Town. We’re heading home in 2 weeks, so it’s a good time to reflect on our life-changing decision. Maybe one of the best we’ve taken. One that led us to all corners of the world. Despite what most people think or tell us, we believe that it’s a decision we all can make as long as you believe in it. Just sort your priorities and decide on what will make you happy now.